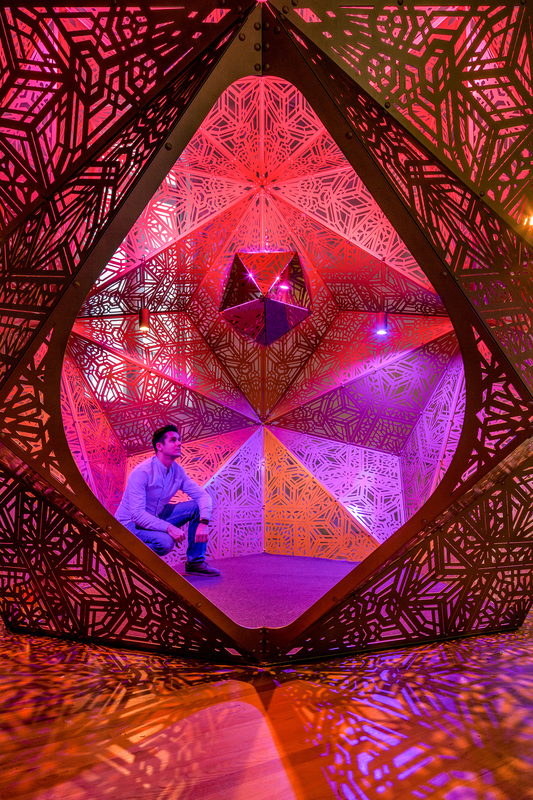 Read on for a sneak peek inside the forthcoming “No Spectators: The Art of Burning Man” that will take over the Cincinnati Art Museum starting April 26. Burning Man. It’s been called “an experience in collective dreaming.” It’s a cultural movement and a thriving temporary city of more than 70,000 active participants from all over the globe who gather in the dust of the Black Rock Desert outside Reno, Nevada, for seven days. And soon visitors will be able to experience the visual art and artists of Burning Man in Cincinnati, Ohio. From giant mutant art vehicles and creative costuming to immersive gallery-sized installations, No Spectators: The Art of Burning Man will land at the Cincinnati Art Museum in two phases. The first phase opens on April 26, 2019, and the second, which will unveil additional art throughout the museum, opens on June 7, 2019. Both phases of the exhibition will close September 2, 2019. The exhibition will take over much of the museum, exploring the maker culture, ethos, principles and creative spirit of Burning Man. 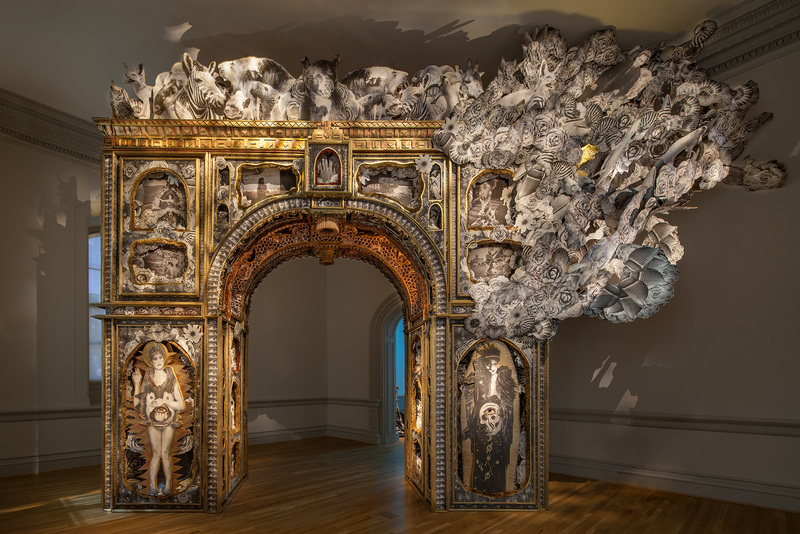 The exhibition was organized by Nora Atkinson, the Lloyd Herman Curator of Craft at the Smithsonian American Art Museum; it debuted at the museum’s Renwick Gallery in spring 2018. 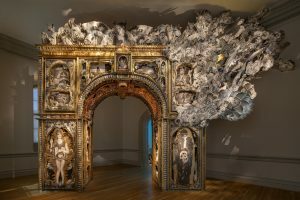 In addition to the over-sized sculptures, the exhibition will feature jewelry, video, and photography by artists and designers who participate in Burning Man. Ephemera, archival materials and photographs will be on view in the companion exhibition City of Dust: The Evolution of Burning Man, organized by the Nevada Museum of Art in Reno; it will trace Burning Man’s origins from its countercultural roots to the world-famous desert convergence it is today. No Spectators: The Art of Burning Man was produced in collaboration with the Burning Man Project, the nonprofit organization responsible for producing the annual Burning Man event in Black Rock City, Nevada. The Burning Man community has been instrumental in suggesting artworks for inclusion in the exhibition. Following the presentation in Cincinnati, the exhibition moves to the Oakland Museum of California from October 12, 2019–February 16, 2020. Visitors to the exhibition will experience works by contemporary artists Candy Chang, Marco Cochrane, Duane Flatmo, Michael Garlington and Natalia Bertotti, Five Ton Crane Arts Collective, Scott Froschauer, Android Jones and Richard Wilks. Also included are the FoldHaus Art Collective, Aaron Taylor Kuffner, HYBYCOZO (Yelena Filipchuk and Serge Beaulieu), Christopher Schardt and others. Burning Man is a hotbed of artistic expression and innovation through its shared principles. Enormous experimental art installations are erected and many are ritually burned to the ground. The event thrives on the gifts, radical self-expression and participation of those who attend, with a special reverence for art that is created through innovation and community contributions, the work is uniquely generated by the citizens of Black Rock City. 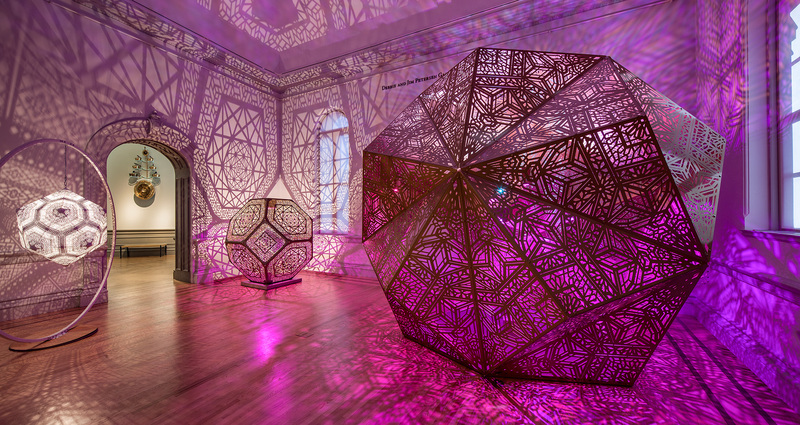 Image: Renwick Gallery. Ron Blunt. 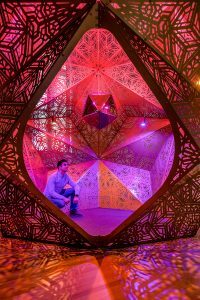 In this spirit, the Cincinnati Museum will be reaching out for volunteer participation and developing methods of experiencing the exhibit that allow for all who visit to engage in the spirit of Burning Man. A variety of public programs will accompany the exhibition. Information will be available in the spring on the museum’s website. The museum will have a community celebration to kick off the exhibition at the Art After Dark on Friday, April 26, 5–8 p.m. The public can follow the museum’s social media accounts for exhibition updates and share their exhibition experiences with the hashtag #NoSpectators. Consistent with the Burning Man principle of gifting, No Spectators: The Art of Burning Man will be on view to the public for free. General admission to the Cincinnati Art Museum is also free. Support for the Cincinnati presentation of this exhibition is provided by the August A. Rendigs, Jr. Foundation.